2019 Mother’s Brunch – Life Enrichment Options™ for the Mother's Brunch. 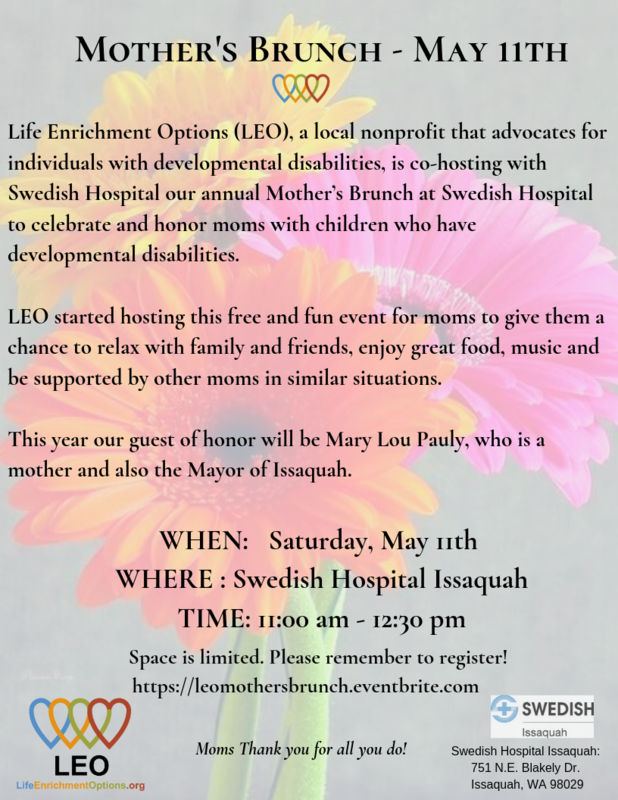 May 11, 2019 is Mother’s Brunch day, where Mothers of children with Developmental Disabilities will be celebrated. Life Enrichment Options (LEO) and Swedish Hospital are co-hosting this free event. Space is limited so if you plan to attend please Register below on this page . We’re looking forward to seeing you. REGISTER for the Mother’s Brunch.